This is a bracelet that will definitely turn heads! 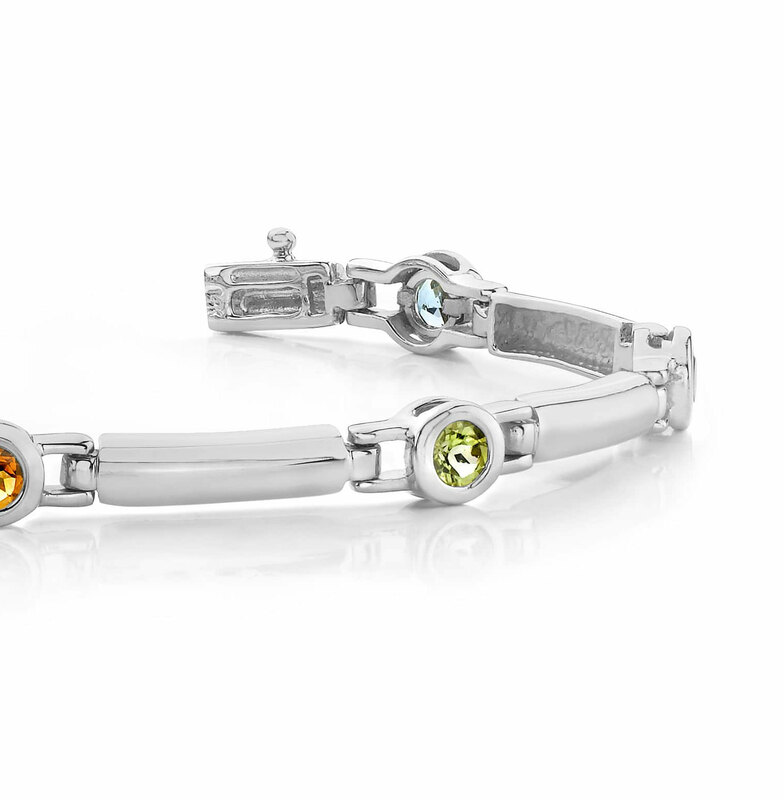 Glistening Colored Stones are ‘Under-Prong’ set in between fabulous gold or platinum curved columns. 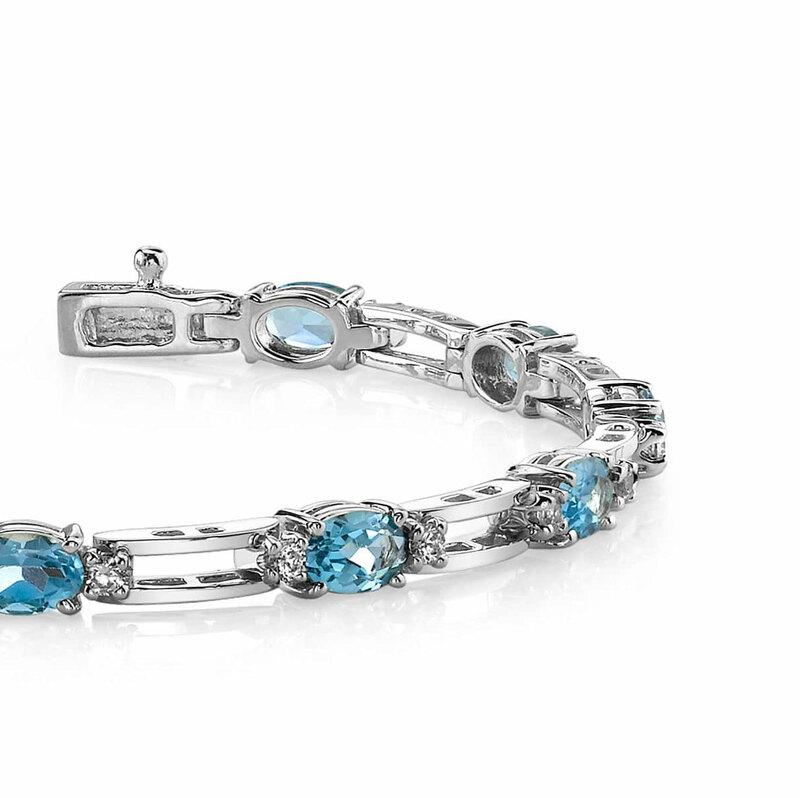 Seven incredible stones are showcased in this bracelet, and any lucky lady would be absolutely tickled to wear it! Stone Carat Weight: 7X0.250 ct.